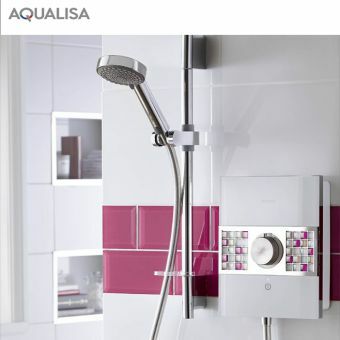 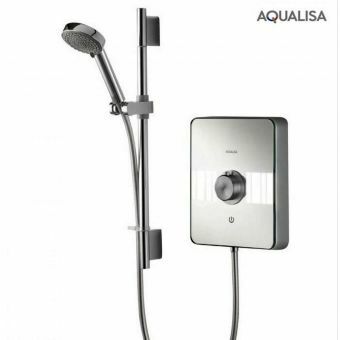 This Bristan Glee Electric Shower is a great upgrade, offering sturdy plastic construction and nice features. 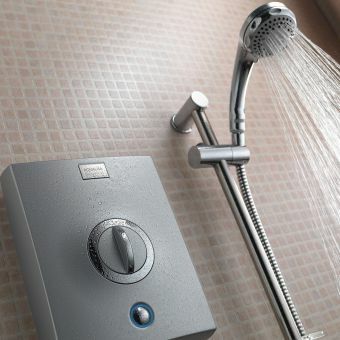 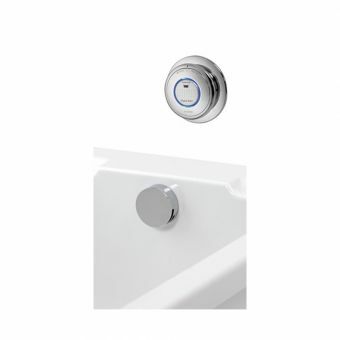 Inlet connections on the shower are 15mm push fit with five directional options. 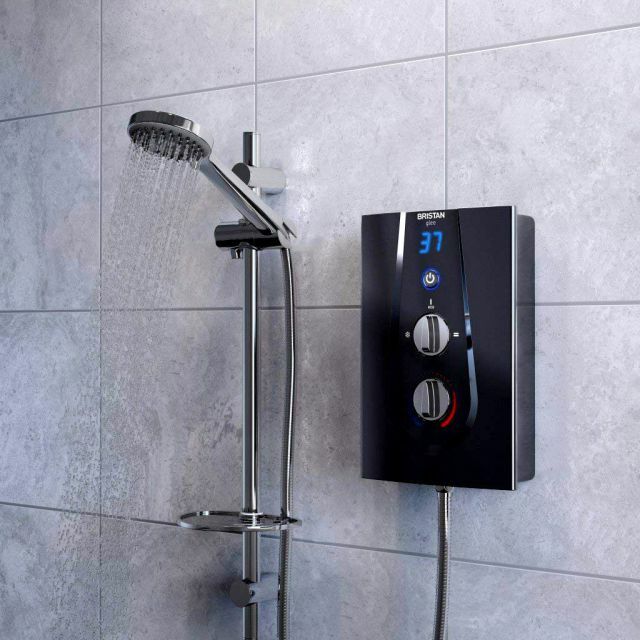 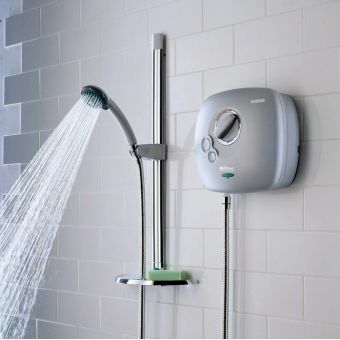 The shower head has minimum working pressure of 0.7 bar, with maximum static pressure at 10.0 bar, giving a range of options and a pleasant flow. 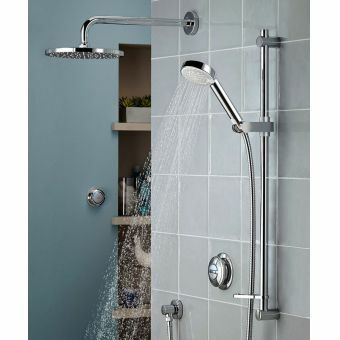 This shower includes a riser kit with a contemporary style that complements any bathroom. 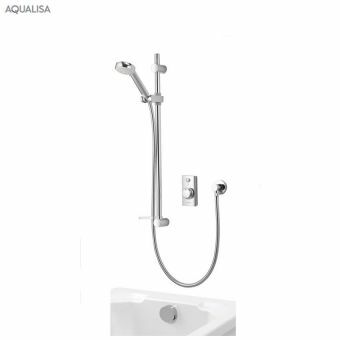 The product is available in white as well as a contemporary black with chrome fittings, and it provides a consistent temperature for maximum comfort, even when other household appliances are in use. 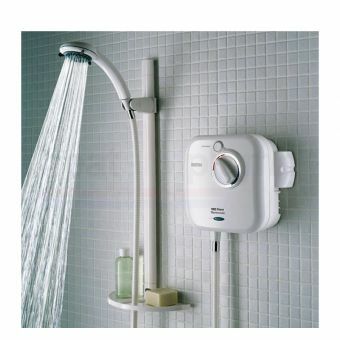 An internal temperature control device prevents accidental burns, and the riser features a built-in soap tray and hose retainer. Cleaning is easy, and it features both a digital temperature display and separate temperature control.